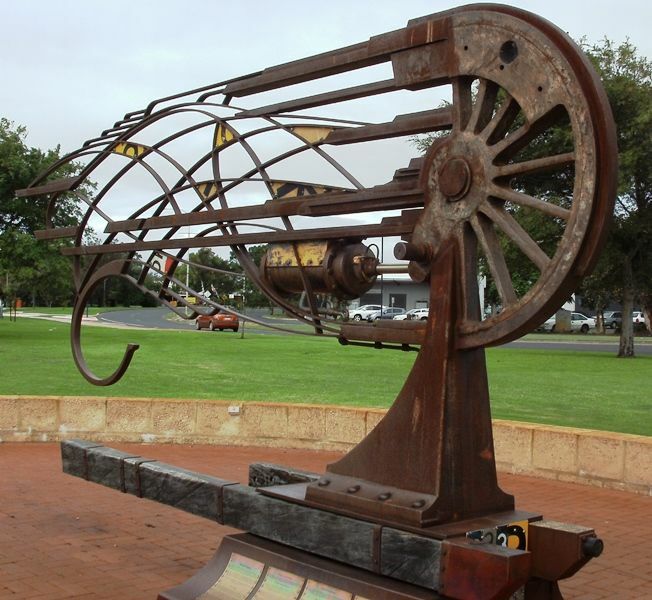 A metal sculpture acknowledges the contribution the railways made in the development of Bunbury. Called “Circus Train – Slow Down!” the contemporary representation, weighing three tonne and measuring five metres by three, is the work of artists Alex and Nicole Mickle. The work is the result of a collaborative partnership between the City of Bunbury and DADAA Inc., an arts and disability organisation based in Fremantle with a regional program in the South West. The sculpture is the outcome of a project called Bridging the Gap which began over five years ago when the City of Bunbury was approached separately by a group of retired railway workers and DADAA. The idea for the sculpture resulted from the convergence of these two seemingly unrelated groups of which both were interested in creating a public artwork. The retired railway workers wanted recognition for the important role the railways played in the development of Bunbury and DADAA wanted increased awareness for people with disability.